The purpose of a pressure washer is simple: to make quick work of your outdoor cleaning jobs. Regardless of which type of pressure washer you buy or which brand you choose, all pressure washers work in basically the same way. Low pressure water flows into the machine. The pump, either a gasoline-powered engine or an electric motor, forces the water through a hose and into a spray nozzle at high pressure. This process gives you more cleaning power than a simple garden hose and lets you efficiently clean a whole host of outdoor items. The Main Types of Pressure Washers – Choosing Electric or Gas? Pressure Rating (PSI) – Which to Choose – Electric / Gas – How much Pressure do I Need? Before you dash out to buy a pressure washer, you need to do a little homework. Not only do pressure washers differ in the type of energy source they use, they also come in different models with different capabilities. You need to be certain you’re getting the type that is appropriate for the work you need it to do. The pressure output of the device is expressed in pounds per square inch (PSI). This is what determines the kind of work the pressure washer can effectively handle. In addition to the PSI, the water flow rate, which is measured in gallons per minute (GPM), is crucial in determining the cleaning power a pressure washer can deliver. A machine with a greater combination of numbers can efficiently clean a larger area. Why should you have a pressure washer at home? Do you try to imagine that when you have a pressure washer at home, do you have to go to commercial car wash locations? I am sure that you will not. Thanks to this machine, your vehicle is always cleaned at the very small fee. So you will save more time and money to do your favorite works instead of going to washing locations as the past. It does not just wash your car, everything in the garden or anything that you find it difficult to clean with regular washing. And more benefits, we will share in the following parts. Sun Joe is also a brand top of a pressure washer. SPX3000 is an electric pressure washer. And it will be provided power to tackle a variety of cleaning tasks like homes, buildings, RV’s, cars, trucks, boats, decks and more. Interestingly, It generates up to 2030 PSI of water pressure and 1.76 GPM of water flow for maximum cleaning power. It is surprising, isn’t it? With the strong power, you can clean the stains that are hard. The multiple nozzles are easy to switch and have brass quick connect fittings.Thanks to the powerful motor, SPX3000 is becoming more and more popular. No sooner do you have an SPX3000 than you will see advantages of a pressure washer. You can save time to go to washing stores or high fee you had to pay. AR Blue Clean is a brand of pressure washer that belongs to Annovi Reverberi. 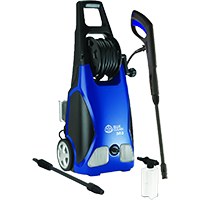 AR383 is one of the greatest pressure washers of AR Blue. You can fully believe the quality of the machine is excellent because it is appreciated from thousands of consumers around the world. Features of AR Blue Clean make them stand the test of time. The company has a business tradition over 50 years in this field. AR383 is designed with the super strong motor which allows it to get out of tough stains on your vehicle or home application you can wash. Its motor makes the pressure of up to 1900 PSI. Besides, you can use it more quickly and conveniently by the long hose and power cord. It helps you move the hose and clean quickly around a car while you are washing your car. The tool comes with a trigger gun for controlling the power to the washer. 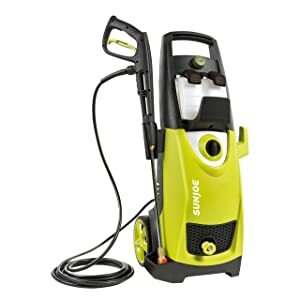 The Simpson MSH3125-S MegaShot is a gas pressure washer. So it is very convenient to move and carry. You can clean your things anywhere you can. You can clean the huge behind yard at your house quickly without being scared of the length of cord. Moreover, it is equipped with 3100 PSI, 187cc and a 2.5-gallon per minute flow rate. It is real to make you amazed. I think that it is strong enough to meet demands of cleaning at home. Further, this machine is designed with the handle that has cushion grip to help to reduce fatigue and easy to use. These pressure washers are ideal for cleaning items such as patio furniture, sidewalks and stairs. These machines create 1500 to 1900 PSI. They can handle cars or trucks as well, along with some larger tasks such as cleaning patios, decks and driveways. Best use: automobiles (cars and trucks), furniture, sidewalks and driveways. Good use: siding, floors, garage, fences, decks, stairs, stain removal. Not so good with: preparing walls for painting and for second floor cleaning. These medium-duty pressure washing machines work best for cleaning surfaces such as garage floors, patios and driveways. They are also good for cleaning fences and decks. Medium-duty pressure washers can generate PSI from 2000 to 2800. Best use: stairs, decks, garage floor, sidewalks, furniture, driveways, fencing, floors. Good use: cleaning second floor, siding, cars and trucks, stain removal. Not so good with: preparing walls for painting. These pressure washers work well for a variety of cleaning jobs, from small areas like sidewalks to larger areas like driveways. For tougher jobs like stain removal or cleaning garage floors, the heavy duty pressure washer is your best bet. It can create 2900 to 3200 PSI. Best use: sidewalks, garage floor, patio, floors, driveways, fencing, decks, stairs. Good use: preparing walls for painting and cleaning patio furniture. Not so good with: cars and trucks. These types of pressure washers can handle many of the jobs of heavy-duty machines. 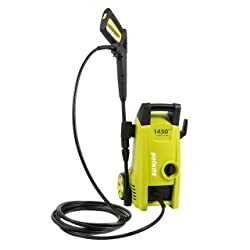 These can generate 3300 PSI and up, however, meaning you can use this extra heavy duty pressure washer to prepare surfaces for painting. Best use: everything except patio furniture, trucks and cars. Not so good with: patio furniture, cars and trucks. 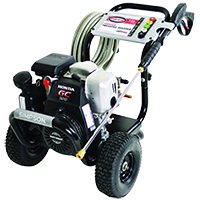 These pressure washers are available in gas and electric models. They will allow you to adjust between high pressure for cleaning deep, and high flow to extend the reach and to clean delicate surfaces. CC and A: cubic centimeters (CC) and amps (A). The CC rating on a gas pressure washer, or an A rating on an electric pressure washer tells you the power output of the unit. Two pump types: there are two types of pumps used on pressure washers. Axial cam pump: these types of pumps are found on pressure washers intended for homeowner use. These maintenance-free axial cam pumps make operating the pressure washer simple. Triplex pump: these pumps are designed for commercial use. They are built for more frequent use and have a longer life expectancy. They provide greater efficiency than the axial cam pumps. Interchangeable nozzle tips: this feature provides preset pressure and flow settings. With a tip that produces a narrow spray, you get more pressure but less coverage. Wider sprays will provide lower pressure but cover a broader area. Detergent is generally applied with a low-pressure tip. Adjustable wands: these allow you to adjust the pattern of the spray from the high-pressure narrow spray to the lower pressure wide spray without changing the tip on the nozzle. Interchangeable wands: this feature gives you preset wands for different cleaning types. When you purchase a pressure washer with interchangeable wands, you can change the wand instead of altering or adjusting the nozzle tip. Rotating nozzles: these nozzles rotate to combine consistent circular motion with a powerful spray. Chemical / detergent injection: with this feature, you can add cleaners or other chemicals that are designed for pressure washers to your pressure spray. This is usually accomplished through use of a tank onboard the unit or by adding a tube for siphoning. Onboard detergent tanks: if you add this feature, you can more conveniently use pressure washer chemicals. Unloaders / thermal relief systems: a buildup of pressure and/or heat can damage the pressure washer. These systems are designed to reduce the buildup of heat and pressure. Brushes: these accessories let you add scrubbing power to your cleaning projects. Extension wands / spray tips: these accessories help you reach the higher places on your home exterior, like second-story windows. Angled wands: use these accessories with extensions to reach and clean gutters. Surface cleaners: the spinning jets on these accessories come in handy when you’re cleaning driveways and sidewalks. Pressure washer chemicals: the type of cleaning you want to do will determine the different type of cleaning chemicals you’ll be needing. Make sure you use only those recommended by the manufacturer of the pressure washer. Some chemicals are generic and can be used in most pressure washers but some manufacturers do have specific chemicals they’ve approved for use in their equipment. Stand on a stable surface: You’ll need to have good balance, a stable stance and solid footing. Protect your eyes: Make sure you’re wearing eye protection of a style specified by the manufacturer of the pressure washer. If you’re using a gas pressure washer, be sure to wear protection for your hearing. Never leave it alone: If the pressure washer is running, you should never leave the spray gun unattended. Use the right nozzle for the job: Make sure you’re using the right spray setting or correct nozzle for the job. If your nozzle or setting concentrates too much power, it can result in damage to some surfaces, such as wood. Be sure to consult the owner’s manual for your pressure washer to find information on which spray settings are best for your project. Also be sure to check the distance you need between the spray tip and the surface you’re cleaning. Check your aim: Make sure you’re spraying the area or object you intend to spray. Never use the pressure washer to spray at people, pets or plants. You should never spray near electrical fixtures or power sources, such as power lines or outlets. Read the manuals: A pressure washer is not a toy. You should read and follow the owner’s manuals for your pressure washer, any accessories or chemical manufacturers’ use. Be sure to adhere to the maintenance and safety instructions that come with your pressure washer, including instructions for wearing safety gear. The maintenance needs of a pressure washer will vary between different types and brands of pressure washers. Gasoline-powered models will also require more routine maintenance than those that are electrically powered. The owner’s manual of your washer should include a maintenance schedule and outline the steps you need to take to keep your pressure washer in its best operating condition. Check the levels of the oil and the fuel in gasoline-powered models. Top those off if needed but be sure not to overfill. Before connecting the garden hose, check the water inlet screen. If it is clogged or dirty, rinse it with clear water to clean it. Check it for damage and replace it if needed. If your pressure washer includes an inline screen in your wand extension, make sure it isn’t clogged. If it is, clean it with clear water and replace it if it is damaged. Check the connections on your spray gun, wand extension and spray tip. Make sure the connections are secure, especially on the high-pressure hose. Check to make certain the spray gun trigger and the trigger lock are functioning correctly. If they are not, or you’re uncertain, replace the spray gun. Look closely at the high-pressure hose. Check it for cuts, abrasions, leaks or bulges in the line. Inspect the couplings for any damage and tighten them if needed. Don’t try to repair a damaged hose; replace it according to the manufacturer’s guidelines. Inspect the integrity of the detergent siphoning tube and clean it out if needed. Check the filter if there is one and clear it if needed. Before connecting the garden hose to the pressure washer, flush it out to remove anything that may clog the filters. Don’t leave detergent in the pressure washer. Rinse the detergent out of the lines. Remove the tube for siphoning from the detergent supply, then set the spray to low pressure. Let the water run through the system for one or two minutes. Relieve the pressure in the machine. Turn off the unit and shut down the water supply. If your pressure washer is electric, unplug it from the outlet. Clear the spray gun by pointing it away from people and animals. Activate it until the water stops, then engage the trigger lock. Disconnect all the hoses and extensions, including the spray gun and high-pressure hose. Be sure to drain any remaining water from them. If any water remains in the pump, be sure to remove it. If your pressure washer is gasoline-powered, pull the recoil handle several times. If you have an electric pressure washer, turn it on to force the water to exit the pump, then immediately turn it off. Clean any debris from the unit before storing it. Wash from the bottom up when you’re cleaning vertical surfaces. Start at the bottom, moving up with the detergent-laced spray. When you rinse, move from the top down. 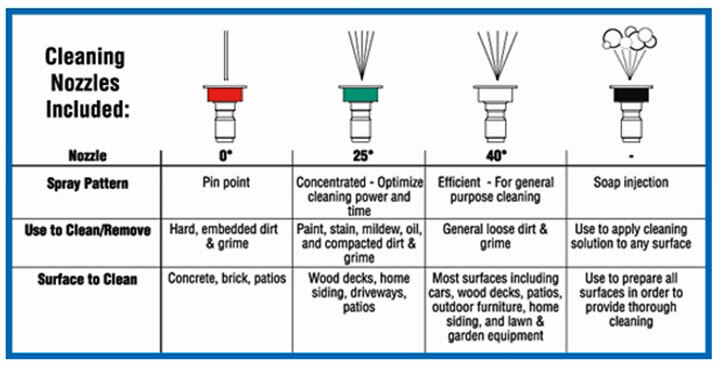 Nozzles for pressure washers should be color-coded to show how narrow the spray will be and with how much force it will delivered. The color codes should be included with the owner’s manual or accessory list for your pressure washer. Using the broadest, lowest-pressure nozzle that will adequately clean your project is the general rule for choosing your nozzle. If you use a nozzle that is too narrow, you could damage the surface you’re trying to clean. Test the nozzle by spraying a small test area in an inconspicuous area before using the pressure washer in move visible areas. If you are using a nozzle that is too narrow, this way will make certain you don’t harm a noticeable area. Be sure to maintain the tip of the pressure-washing nozzle at an angle to the surface you’re cleaning. Maintain a distance that will prevent damage to the project’s surface. Be very careful not to spray water behind or under surfaces such as siding or into light fixtures or air conditioning equipment. Avoid electrical outlets, soffit vents or attic vents. The nozzle should stay in motion to prevent the water from cutting into the surface. Be sure to follow the manufacturer’s instructions for storing the machine over the winter to prevent freezing and corrosion. A pressure washer is a great investment and can save you much time in the garden, cleaning your car or boat or rejuvenating the driveway. There are many types and styles and a great selection of brands to choose from. 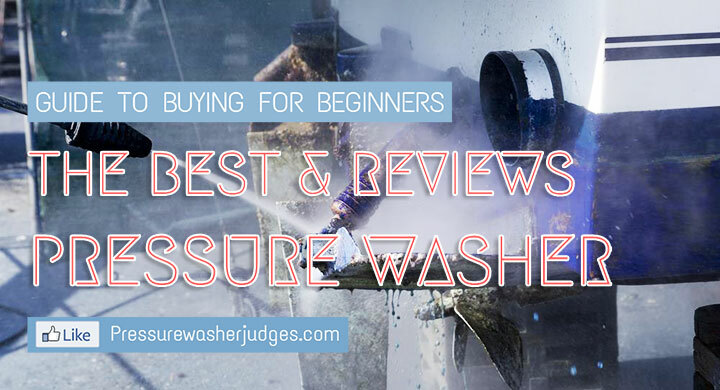 Right here, on this website, we have put together the very best pressure washer reviews available, analyzed their differences and provided reports. 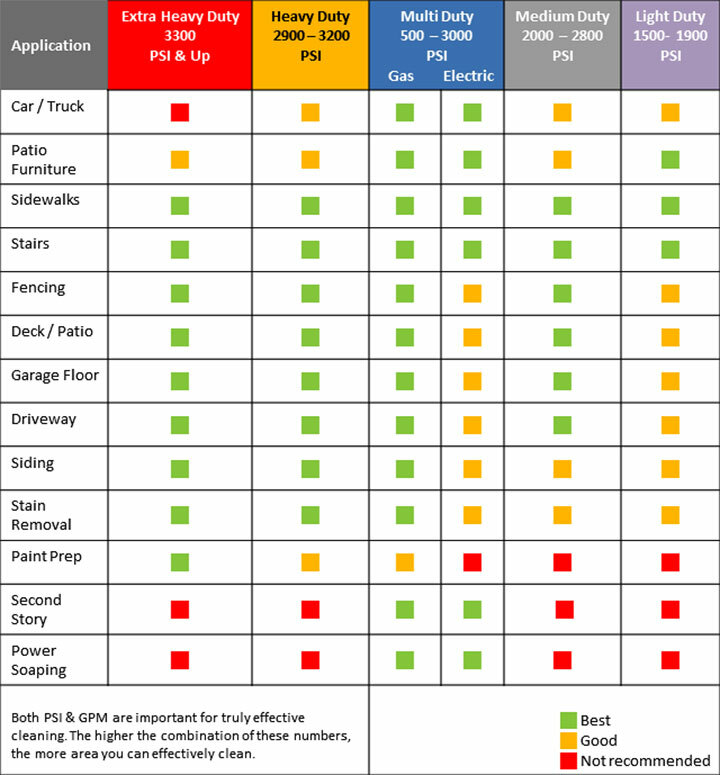 This is information is available to help you make the right choice with your pressure washer selection today. Whether you are chasing a portable, powerful, versatile, feature-packed or even a basic model pressure washer, there is plenty to choose from. It comes down to what you would like to use the pressure cleaner for and how often you are going to use it. As an example, if you will use it frequently then a higher quality unit will be required but not necessarily higher pressure (depending on the application). In fact selecting a unit with very high pressure when used for the purpose of cleaning your car can be dangerous, and potentially damage your car. 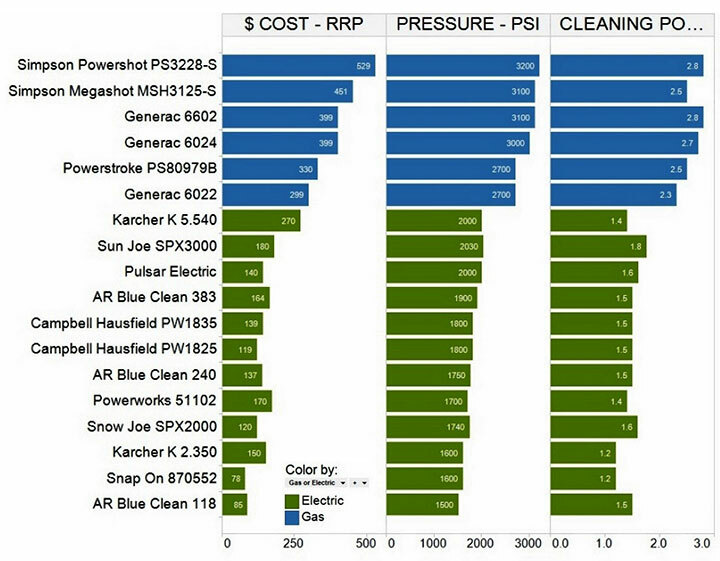 When it comes to price, it is easy to see that gas pressure washers are more expensive than the electric models. In some cases (i.e. the Simpson Powershot) they are significantly more costly. In general, this is because the gas units require additional components, where an electric version can just plug into a power outlet; the gas cleaners need a motor to power the pump for water flow. For electric power washers you can expect to pay $70 – $270, and for gas power washers the prices start at $299 for the Generac 6022. 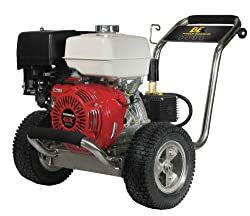 I would caution against any pressure washer costing less than $100 unless you are looking for a quick solution and if you do I would expect to be purchasing another pressure washer in a year or so. In the end, you get what you pay for, but please ensure you select a washer in your price bracket that has the features you need. 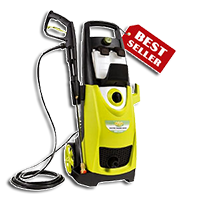 The most expensive of the electric models, the Karcher K 5.540 is the most expensive because it is the best of the electric models regarding features and reliability. 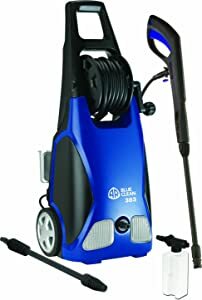 The other electrical pressure cleaner we recommend is the AR383 from AR Blue Clean; it is a reliable cost effective unit with good features and quality. ​Pressure (pounds per square inch – kilopascals – bar), is a measure of the force per unit area, and in the context of a pressure cleaner, this means how well the pressure washer will remove dirt and grime. When looking at the comparison chart, electric pressure washer ranges from 1500 – 2000 psi and gas models range from 2700 – 3200 psi. It is very important that you choose your product based on the pressure that you will need for the tasks that you will commonly perform with the unit. Our advice is that there is no point in purchasing the Simpson Megashot with 3100 psi when you only need to hose down the driveway once per week, you would be far better off with the Karcher K 2.350 as an example. Pressure washers are mainly used for cleaning surfaces outdoors with high-pressured water. 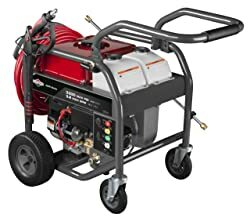 Before you purchase a pressure washer it is a good idea to do a little homework on the difference between gas and electric power washers, as well as the pros and cons of each type. It is highly recommended that you do a little research into the advantages and disadvantages before making a decision on whether to purchase a gas vs electric type washer. Portable: Gas pressure washers are more portable than an electric because it is not connected to an electric cord. This means it can be used virtually anywhere. Cost effective: The pressure washer that runs on gasoline generally has a lower operating cost. Power: Gas powered pressure washers pack more power than their electric counterparts. This means a gas model can clean a particularly dirty area three times faster than an electric model of equal size. Maintenance: Gasoline powered pressure washers require more maintenance than electric-powered ones. Most models require some degree of fuel-mixing, usually involving adding a percentage of oil to the gasoline. These models will also require periodic tune-ups. Noise: A gas pressure washer makes far more noise than those run on by electricity. This can be a problem in some business and residential settings. Weight: Gasoline powered washers are heavier than comparable electric models. String starts: Most gas models will have a pull-starting mechanism, making it awkward for some to start, especially women. Winterizing: Gas models must be winterized with antifreeze in colder regions. These models cannot be stored inside a home. Low noise: The electric pressure washers are much quieter when operating than a gas pressure washer. Exhaust: The electric pressure washer does not emit exhaust. It can therefore be used in areas that are indoors or not highly ventilated. Storage: Can be safely stored indoors. Easy start/stop: Electric models generally start and stop with a simple trigger switch. Cord: It requires an electric source in order to be able to function. This means it must be tethered to a power cord when in operation. This limits the range in which it can be used. Less pressure: Electric models usually generate less water pressure than the gasoline powered models. This means they are slower to clean an area than a gasoline model. Accessories: The wands and nozzles generally suited to electric models are often plastic, not metal. This makes them less-sturdy than metal accessories for gas pressure washers. Also, consider that pressure is related to the orifice or nozzle on the pressure washer, as such the psi ratings are the maximum possible for each pressure washer. In reality, you might purchase a special purpose nozzle to help clean your boat as an example, and this will likely reduce the psi from your cleaner, but it will be more efficient when cleaning the boat because the surface area of the spray is larger. OK, now here is the detail that most people do not look at, but it is important! Cleaning power is effectively the flow of water than can be provided by the pump on the pressure washer. To achieve higher flow the pump can do this in a few ways, it can rotate faster (more revolutions) or it can have a larger volumetric displacement for every rotation. These two factors are evident in the product specifications. Then we will select that product because it is likely to last longer (less wear on parts). GPM or water flow is also important because it helps move dirt, in example 2 pressure washers with the same PSI will clean an area, but the cleaner with more GPM will move the dirt faster… On the flip side though the unit with the lower GPM will use less water over the same period… However, we challenge this because lower GPM will mean the job lasts longer, so the water saving is offset – Moral of the story if you want to save time and be water efficient, select a pressure washer with higher GPM! 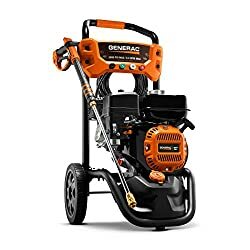 Sun Joe SPX3000 is a good selection of ﻿electric pressure washers, and the Generac 6602 is a suitable selection of the gas models. We came across this great clip which details how to use a pressure washer and find it very informative. Having your own pressure washer can let you take care of a myriad chores around your home. 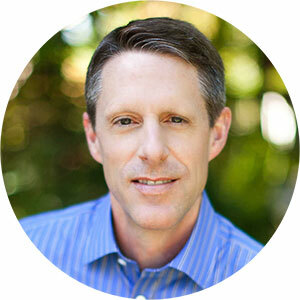 It can alleviate the need to hire contractors to come in and do the work for you. Pressure washers are relatively inexpensive when compared to the recurring cost of hiring someone to come in to take care of your cleaning and restoration needs. The best pressure washer is the one that works best for you and fulfills your needs. Whether you decide on a model that is powered by gasoline or you prefer an electric model, taking the time to do some basic research before you make your purchase will be time well spent. You’ll need to decide if you want to go with a gasoline-powered model or whether an electric model will best fit your lifestyle and needs. The pros and cons of each will have to be compared and investigated to make certain that whatever you decide on will be money well spent. Just like almost everything in life, deciding on which is the best pressure washer for you is a balancing act of the pros and cons, the advantages and disadvantages that both gas-powered and electric pressure washers have. The gasoline-powered models are generally heavier and generate more noise than the electric ones. They are capable of producing more power that can be funneled into the cleaning spray but that carries with it a greater potential for damage to the items being cleaned. It can also lead to an increased risk of injury to the user. Gasoline models require more routine care and maintenance then electric models, and must be winterized in the cold season. Electric-powered pressure washers are more lightweight and produce less operating noise. They are not as portable as the gasoline models, requiring a cord to remain functional. They are less generally expensive and easier to maintain. They include a switch or trigger on/off mechanism and can be stored inside the home without winterizing. Weigh the advantages and disadvantages of each model then purchase the one that will do the best work in your situation.